Faye Lusk Manasco, of Hoover, went to be with the Lord on Monday, November 26, 2018, at the age of 81. Born on June 27, 1937, to parents, Harry and Lucille Lusk, she was raised in Fairfied, Alabama. She attended Fairfield High School and Fairfield First Baptist Church. 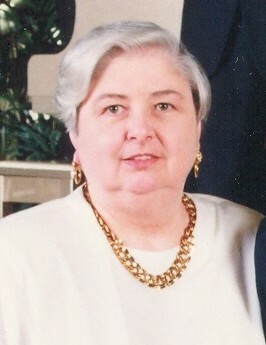 Faye and her husband Bob moved to Bluff Park in 1968, and were long-time members of Bluff Park Baptist Church. She is preceded in death by her parents, Harry and Lucille Lusk; and brothers, Edward Lusk and Donald Lusk. Faye is survived by her husband, Robert Sims Manasco; a son, Robert Lusk Manasco (Linda); a daughter, Grace Ann Manasco; grandchildren, Shane Robert Manasco and Abigail Grace Manasco; and many loving nieces, nephews, cousins and friends. The family will receive friends on Monday, December 3, 2018 from 1-2 PM at Currie-Jefferson Funeral Home in Hoover. The service will follow in the chapel at 2 PM with Rev. Scott Bush officiating. Interment will be in Jefferson Memorial Gardens, South.